The Silver white from Pryce-Tannatt. The agenda for our first Classic Salmon Fly and casting clinic event. 9.45 to 12.00 opportunity to fish with the Chatton Trout Fishery Competition Team, learn competition techniques from the team, including flies, lines, casting styles. Paul is also a member of the team. 1.00 to 4.30 Tying The Silver white classic salmon fly from Pryce-Tannatt. Paul will give us step by step instruction so everyone can tie The Silver. A little bit of information about Paul, he is a AAPGAI assessor, he also rewrote the aapgai fly tying syllabus including the master fly tying qualification for aapgai. 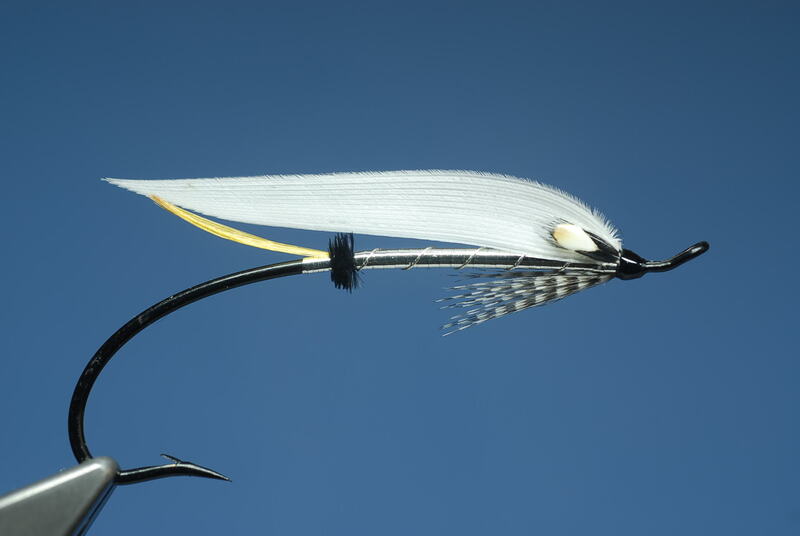 He is a world recognised fly tying instructor and in demand all over the world. He is also an instructor on salmon and trout casting. Don’t forget ladies if you want to have a break at any time, hot drinks are available throughout the day.